With the 1/2 inch birch plywood construction, the 5/8 inch select birch plywood shelves, and the 5/8 inch solid birch dovetail drawer box, these all-wood cabinets are a good economic choice that does not compromise construction quality. 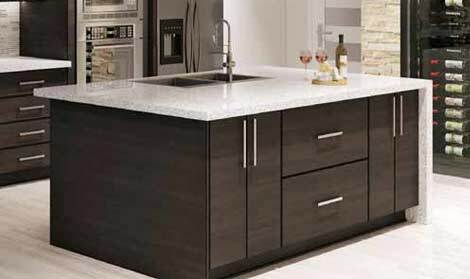 The cabinet fronts consist of full-overlay birch doors with mortise and tenon construction, veneer raised panel captured into solid birch rails, and five-piece recessed panel drawer fronts. These cabinets are made ready and easy to assemble with using wood glue and brads.